Want to know how to start a digital marketing agency, creative agency or social media marketing agency but not sure where to begin? Like most of us, you’re probably in business accidentally because you know how to do something cool that people are willing to pay for… Whether it’s web design, social media marketing, SEO, or you’re an expert at a specific software… whatever the case may be. Now might be the time to go from a super-cool side gig to full on agency, but how can you be sure you know what you need to know in order to pull the trigger? This “thing” you started is really taking off but you’re not exactly sure where to take it. Here are the top 6 questions I get asked ALL. THE. TIME. Here’s some of my best advice if you want to start your own agency. No fluff, no BS. Just down and dirty advice based on real questions I get from real agency startup owners every single day. What’s the best piece of advice for a new digital marketing agency startup? 1. Figure out your agency’s niche. What are you really good at and what do you enjoy doing? Having that clarity will help you create positioning that will differentiate your agency from the competition. Niching down can be scary, but it’s key to have either a vertical or horizontal niche. (In some cases, you can even do both.) Don’t worry, this doesn’t mean you have to turn down work from other clients outside your niche. It just means you’re focusing your marketing efforts towards one specific audience. When you do this you can use their own industry language and convey a message a true understanding of their struggles, issues, and challenges. 2. Have a vision and direction for your agency. Be purposeful in who you serve. A lot of people start an agency by being reactive to the market. They offer the services that people are asking for by trying to be a jack-of-all-trades. You know what they say, though. Jack of all trades, yet master of none. Having the self-awareness on what you’re doing, where you’re headed and what you stand for will provide clarity and pave a clear path for your agency as it grows. When you have that direction, you can “yes” to only the right things and “no” to the wrong things. Saying “no” can be really powerful and help you grow your agency easier and faster than saying “yes” to everything and taking on any and all work. 3. Determine your service offering ladder and pricing. Don’t look at what other agencies are offering and how they’re pricing it. That’s a huge waste of time. Instead, be really specific about what you do and determine the pricing which the market can bear. This can be difficult, but I advise a 10X ROI for your clients. Meaning, if you’re solving a $100,000 problem for them, you should be charging $10,000. The real key is to have the client identify the value of the problem your solving. Do this by having them define the 3 I’s: Issue, Importance, Impact. When the client is the one explaining and placing value here, then you can show them the value you’re providing and charge based on value rather than hours. Do these 3 things first, then work on systems for prospecting, sales, operations and delivery processes. But without doing these initial steps and forming a solid foundation it’s just an uphill struggle. What things do you need to know before you start a digital marketing agency? So, if you can really get a handle on patience and learn to say “no” you’ll actually grow your agency smarter and faster. In the very beginning, you’re hungry for work and you want to say “yes” to everything. The problem with this approach is, you will end up working on projects or with clients that aren’t the right fit for you. It will cause frustration for both parties and, if you’re spinning your wheels on the wrong stuff you might end up turning down what could’ve been the right stuff. Another thing you need to learn is self-awareness. Be really honest with yourself about your strengths and weaknesses, then bring in someone that can be focused on the areas of your weaknesses. Don’t work on your weaknesses, work on your strengths and make them even stronger. The final thing you need to know is to sell features and solutions, not services. When your agency is selling a service your clients view you as a commodity. This undercuts your authority and your value in the marketplace. Think of the service you provide as a means to an end. Sell the solution, and the service is just part of the plan. When you walk your clients through the plan, you’re selling them on a story of what success looks like when they work with your agency to solve a challenge or pain point they’re facing. When is the right time to start a digital marketing agency? Should you start one now and leave your job? If you’ve been thinking about it for a couple years because you can’t stand the work you’re doing or the person you’re working for, then starting an agency probably isn’t the right option for you. But, if you’re filled with thoughts on ways you could do things different or better on your own, then you’re a true entrepreneur. Most entrepreneurs simply cannot handle working for someone else. It doesn’t matter who they’re working for, they just feel restricted working for anyone (other than themselves). That’s how you know you should start your own digital agency. And, if you do start an agency you need to have some insight on what the end goal is. If you’re starting a business simply to earn money, then it’s not going to go very far. You need to have passion in what you’re doing and clarity on why you’re doing it. When you love what you’re doing and have a vision for what success looks like, you’ve got something to chase, other than just money. How do you land your first marketing agency client? A lot of us rely on just one channel to grow business, but I truly believe you need a multi-channel approach to growing your agency. What I mean is that you should have outbound, inbound and strategic partnership all as part of your prospecting efforts. That said, to be really effective with your multi-channel prospecting, you also need to identify your target audience with very specific criteria. Who are you going after? You can’t just pick up the phone book (do people even still use those?) and start cold calling. Absolutely not. Instead, you need to be selective about who you’re targeting and specifically how you can help them. You can go after clients by identifying their specific challenge or pain point and propose a solution. For my agency, we identified what people were spending on Google Adwords, then approached them identifying issues or holes in their approach. As our foot in the door offer, we’d offer to do an audit to help uncover other opportunities. After the audit, we’d give the prospect the option of working with us, fixing the issue on their own, or finding someone else to work. Most times, they’d choose to work with our agency because our audit has gained trust and established some authority. It’s a fact that a good foot in the door offer builds trust and authority. Besides that, the foot in the door is low cost, low commitment, easy decision to make. It’s much easier to sell a foot in the door offer than to sell a larger ticket project. Research shows, people are 20X more likely to do repeat business with you after nurturing the relationship in this way. So set your agency up for success by establishing a service offering ladder with graduated levels of service, beginning with a foot in the door offer and continuing on to projects and then retainers. How can a new marketing agency compete against seasoned agencies? In short, fake it ‘til you make it! I heard a story about advice that was given to Steven Spielberg about working in the film industry when he was very young and inexperienced. It really resonates with me because I think it applies to more than just show business. When Spielberg was a 20 year old up and comer, a big-time experienced director gave him the “fake it ‘til you make it” advice. I find it inspiring for entrepreneurs, too. When you have no clue what you should be doing, don’t show it! People will lose confidence in you if you do. Don’t get me wrong, I’m not encouraging deceit but I am encouraging self-confidence. If you don’t know what you’re doing, be confident in your ability to pull together the answers and resources to get the job done right. Your prospects, your clients, and your team need you to at least “pretend” you know what you’re doing. A good leader doesn’t necessarily have all the answers but they’re willing to put in the hard work and hustle in order to find them. And, the bright side is… Not knowing what to do will push you and give you the motivation to be creative in finding a solution. How many times have you been in a situation where the answers are unclear? Fake it ’til you make it! Don’t let on that you’re unsure… Take a step back and try to be innovative with your solution. I gave it tons of time, though, hard work and patience. And guess what? That client is now known as LegalZoom. It took a lot of thinking, creativity, and innovation to find the perfect solution for my client. They are now one of the worlds biggest online legal companies in the world. You don’t know everything and it’s OK that you don’t! But if you give yourself the time and space to get creative with the answers, you’ll find your way… And, you’ll gain the trust and respect of the people who are counting on you! What would I do differently if I started a digital marketing agency again? Hhhhmmmm… How would I start my digital agency, knowing what I know now? What could I do to help my creative agency grow and scale easier and faster? I grew my 8-figure digital agency for over 12 years until I sold it. What could I have done better, in hindsight? Well, for starters…. It begins with having the right foundation, which I did not have in the beginning. You need focus and clarity to build a business on. Many of us in this industry fall into the business almost by accident and it’s really easy to get stuck trying to make ends meet, week-by-week or day-by-day. In my case, I knew how to do something cool (build websites) and people were willing to pay me for it. I did this as a side gig and worked on a referral basis until I got busy enough to quit my day job. But, the thing about referrals is that it’s not consistent, so you’re always in feast-or-famine-mode. When you’re working under that kind of pressure, you are never able to spend any time working on a company vision or long-term goals. You’re too busy working in the business, than on the business. If I had to do it all over again, I’d set aside time to get really clear things like my vision and goals. We didn’t start out with the proper foundation to build a business on because I never took the time to do that in the beginning. It wasn’t until we hit some rough times that I actually got really clear. If you want to get where you’re going you have to know where you’re headed. When your agency isn’t led with clarity, you and your team don’t know where it’s headed. This is the basic foundation every marketing agency needs. When you are very clear on those things, you can steer the ship in the right direction. Whether you are just starting out, or in business a while but may be stuck in a rut — take time to gain some clarity. When you do, you’ll see an immediate impact on your digital agency business. So you’re ready to start a digital marketing agency. Now what? What you’re doing and what value solutions you provide. Who you’re targeting and what criteria they need to meet. Why you’re starting an agency and what the end game looks like. You’re the captain of the ship, but you’ve got to plan the course first before you begin the voyage. 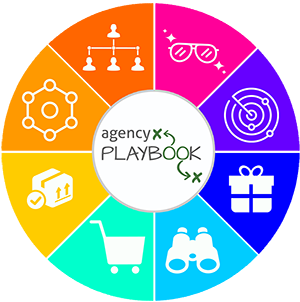 When you’re ready, be sure to check out my Agency Playbook…. 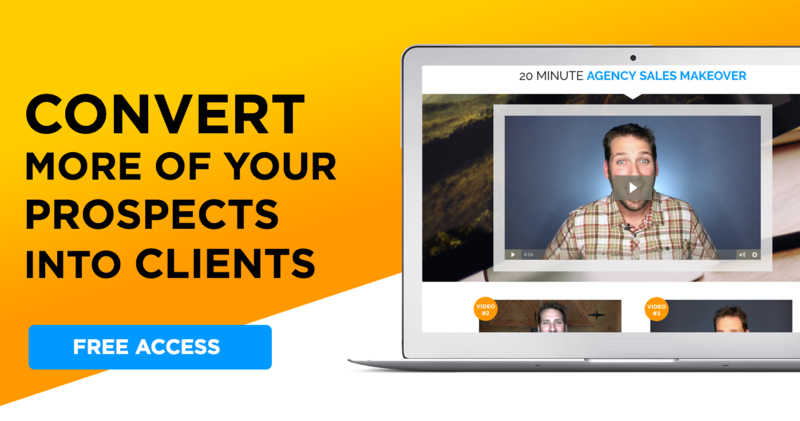 Want to Discover the Easiest & Fastest Way to Grow an Agency? Check out the Agency Playbook, which is self-guided videos and online tools you can use to grow your agency easier and faster. My Agency Playbook contains the 8 Systems I used to grow, scale and eventually sell a successful multi-million dollar agency. It includes all the resources and tools as well as step-by-step strategies to save you tons of time. Everything you learn can be implemented immediately. Learn more by clicking here. Would You Like To Get Access To A Proven Agency Framework For Growing Your Agency? © 2019 Jason Swenk, LLC | All rights reserved.